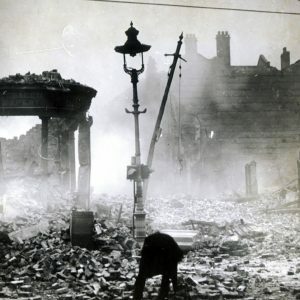 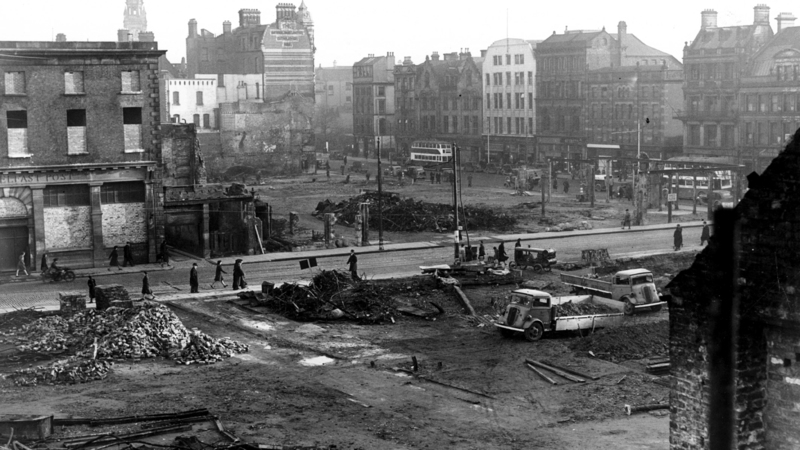 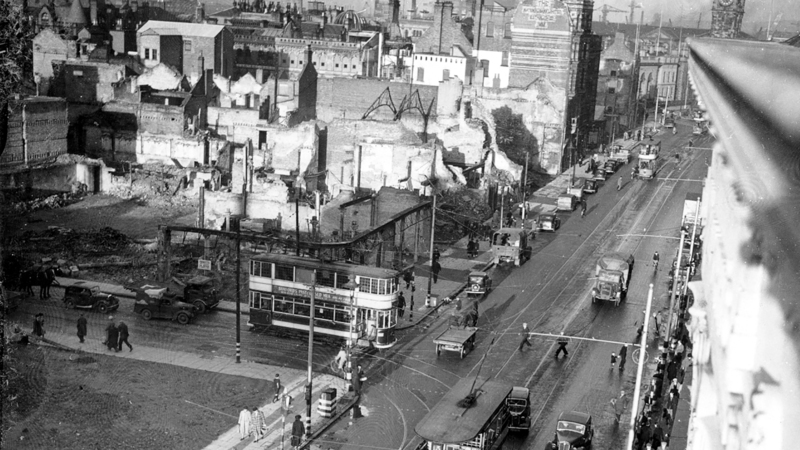 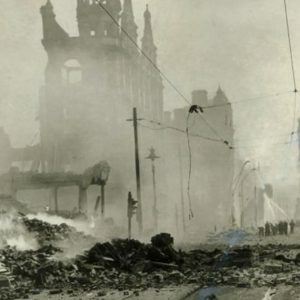 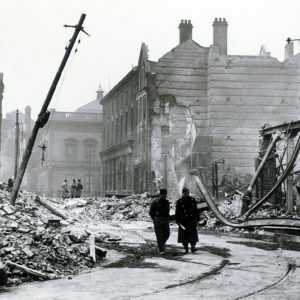 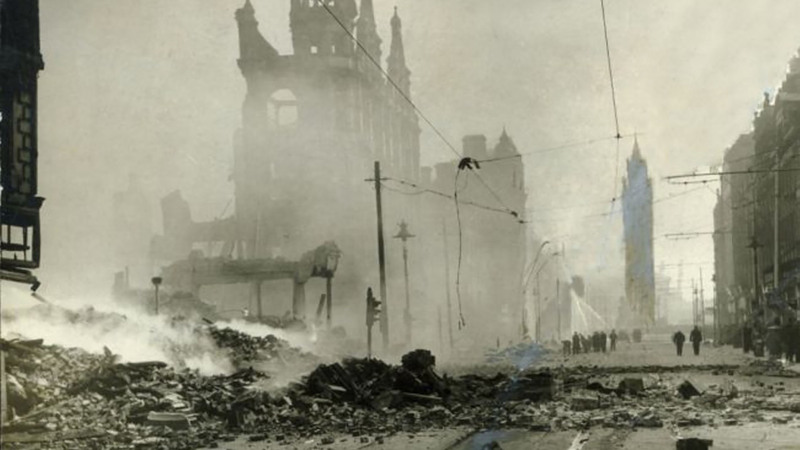 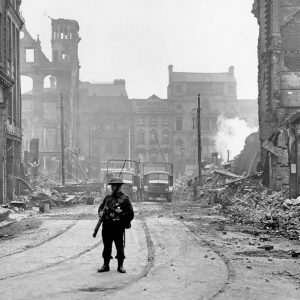 High explosive Luftwaffe bombs destroyed much of High Street and nearby Bridge Street, Belfast, Co. Antrim during the Belfast Blitz of April and May 1941. 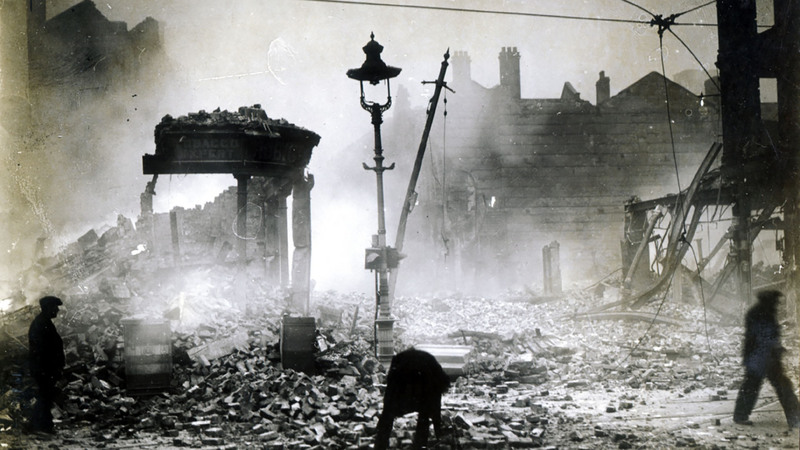 The following information is taken from the 1939 Belfast Street Directory. 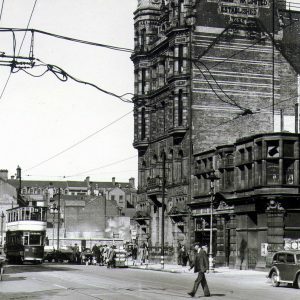 9 True-Form Boot Co. Ltd.
31 Munster and Leinster Bank Ltd.
53 Initial Towel Supply Co.
83 The North Of Ireland Trade Protection Association Ltd.
85 Refuge Assurance Co. Ltd.
103 The Swan Cash Dividend Advertising Co.
12 The Scottish Life Assurance Co. Ltd.
12 Manufacturers' Life Assurance Co.
38 Singer Sewing Machine Co. Ltd.
48-50 John Currie and Co. Ironmongers, Hardware Merchants, Plumbers, etc. 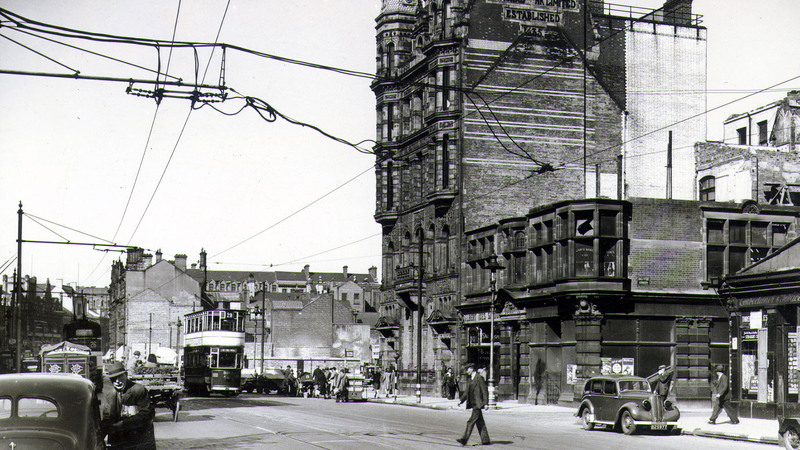 62-68 The National Bank Ltd.
72 Moffat and Co. Ltd.
72 The Limmer and Trinidad Lake Asphalt Co. Ltd.
80 Salvation Army Assurance Society Ltd.
80 Provident Clothing and Supply Co. Ltd. 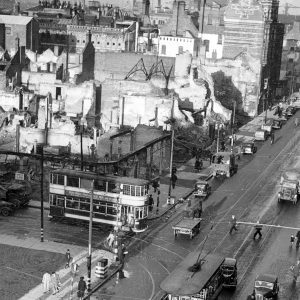 Photographers from the Belfast Telegraph captured the aftermath of the Belfast Blitz in 1941 when Luftwaffe bombs devastated the High Street area. 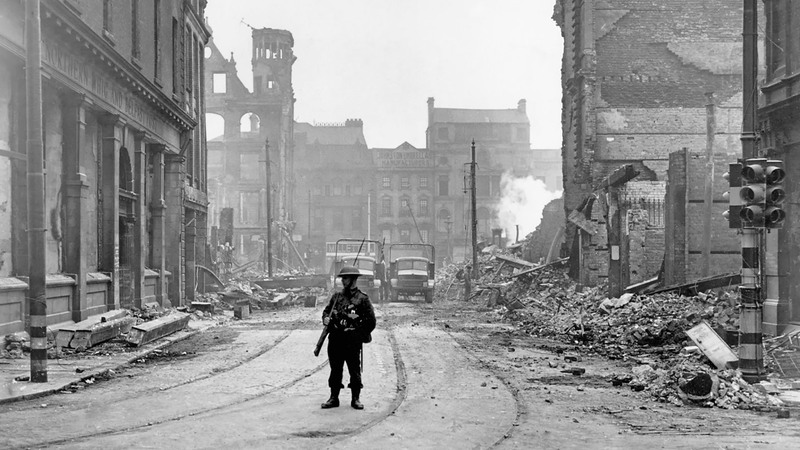 The following places will be of interest to anyone wishing to explore more of the street's World War Two heritage. 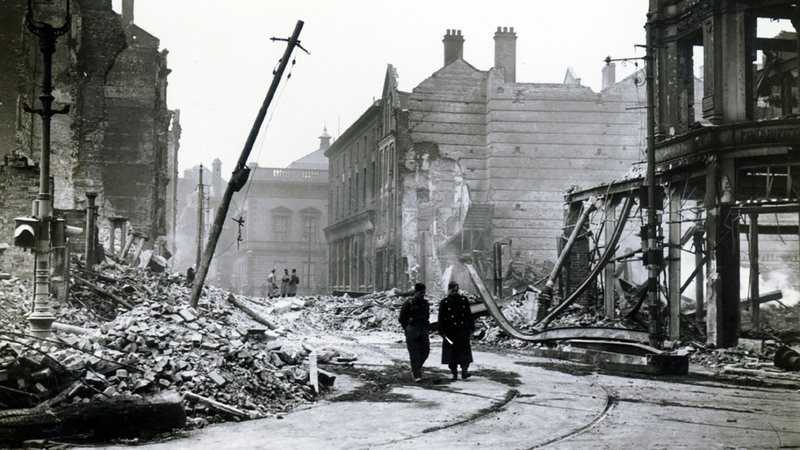 Ther National Bank Ltd. on High Street, Belfast, Co. Antrim was one of the few buildings in the area standing after the Belfast Blitz in the spring of 1941. 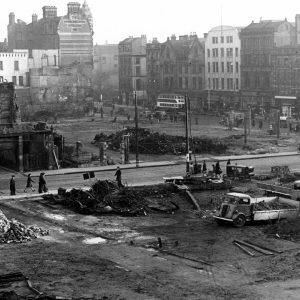 If you enjoyed this post on "High Street, Belfast, Co. Antrim", please share with your friends and followers.